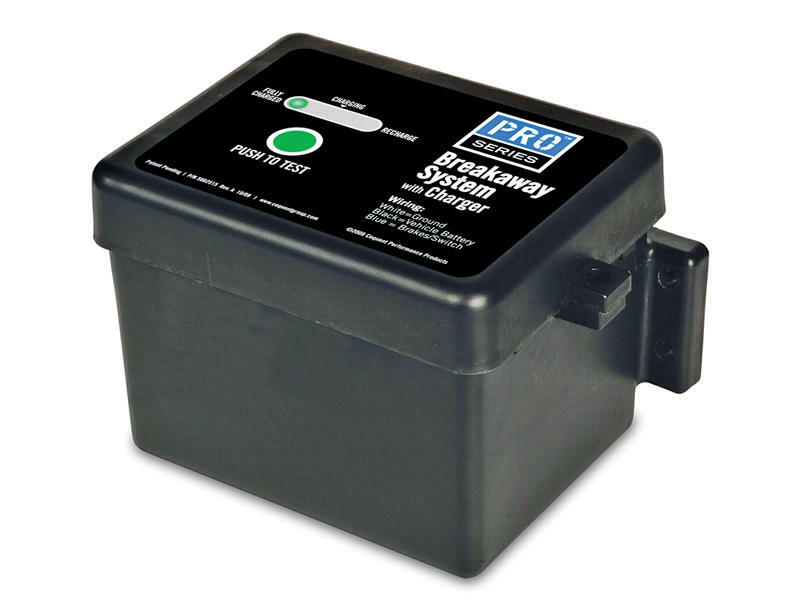 Breakaway System for 1 to 3 Axle Trailers w/Electric Brakes. Includes Battery Box, 5 Amp Battery w/Push to Test L.E.D. Test Meter, Breakaway Switch and Battery Charger.